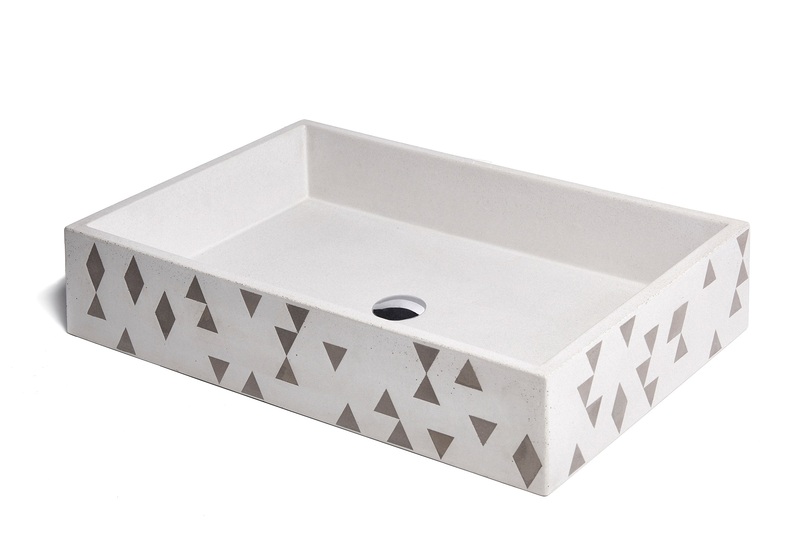 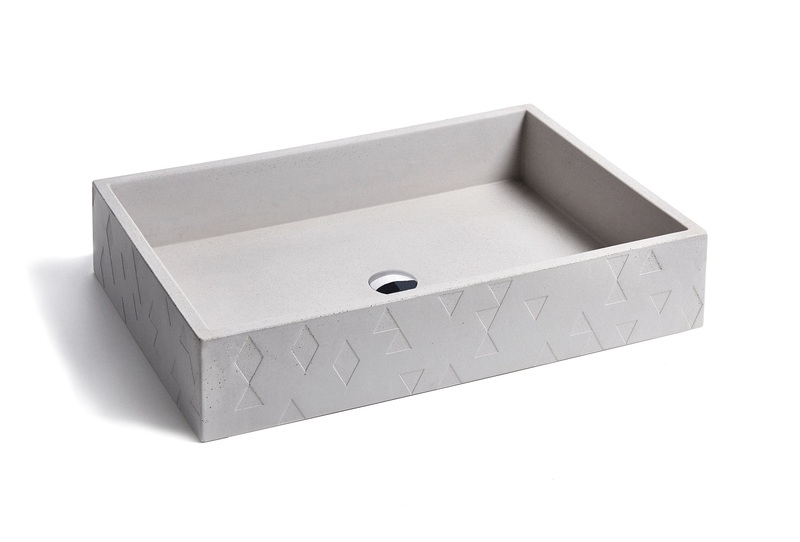 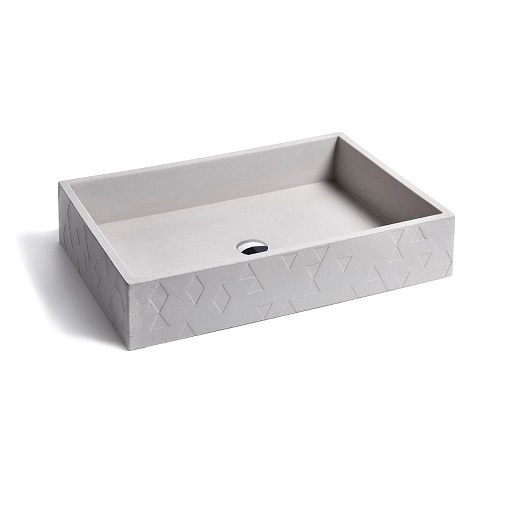 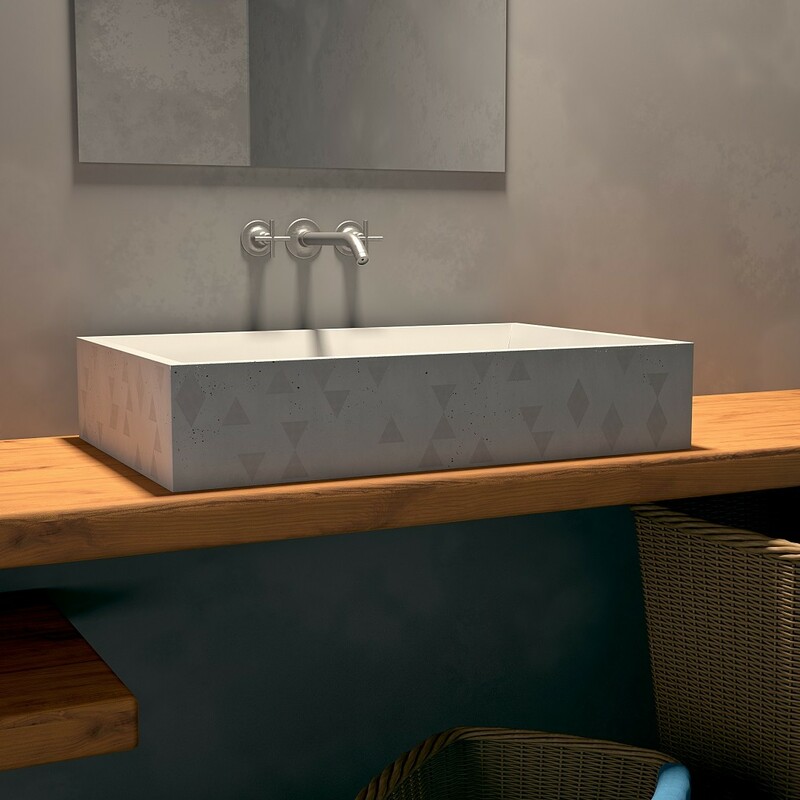 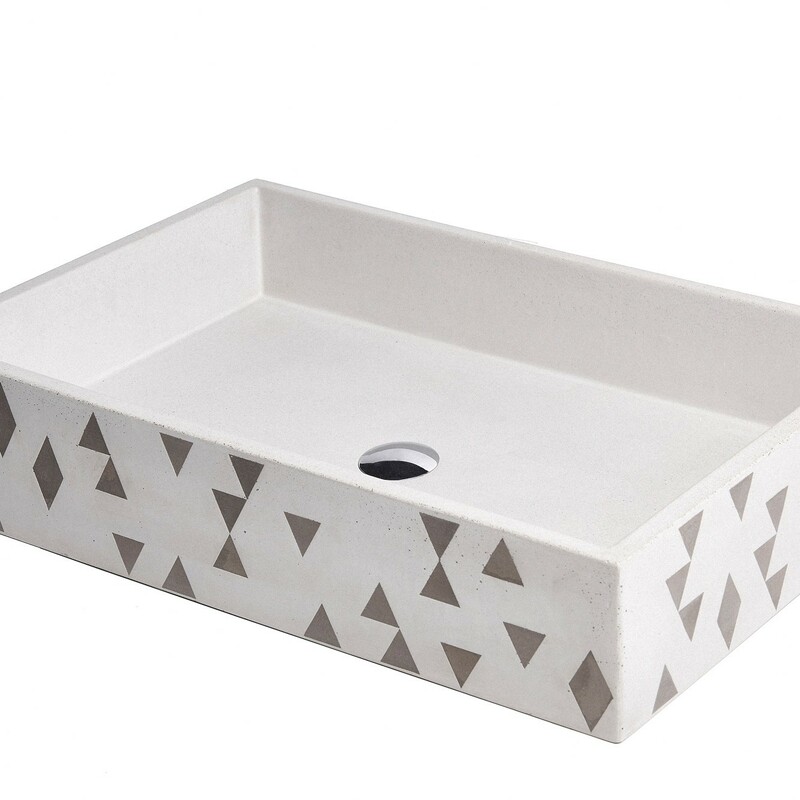 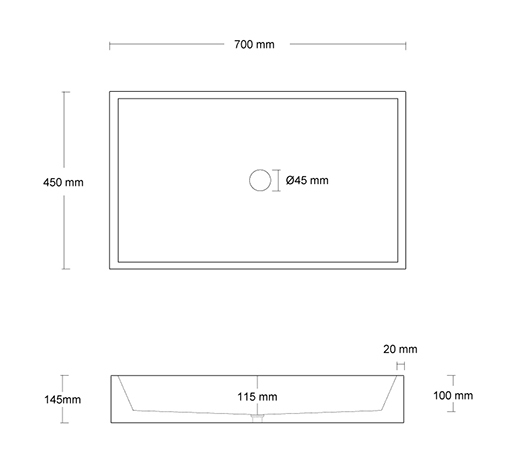 TRACCIA washbasin is made of cast concrete. 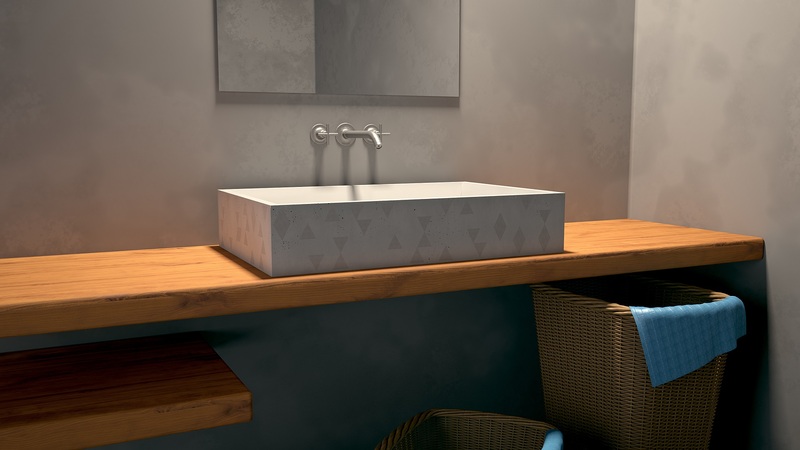 Design by Valentino Marengo in 2017. 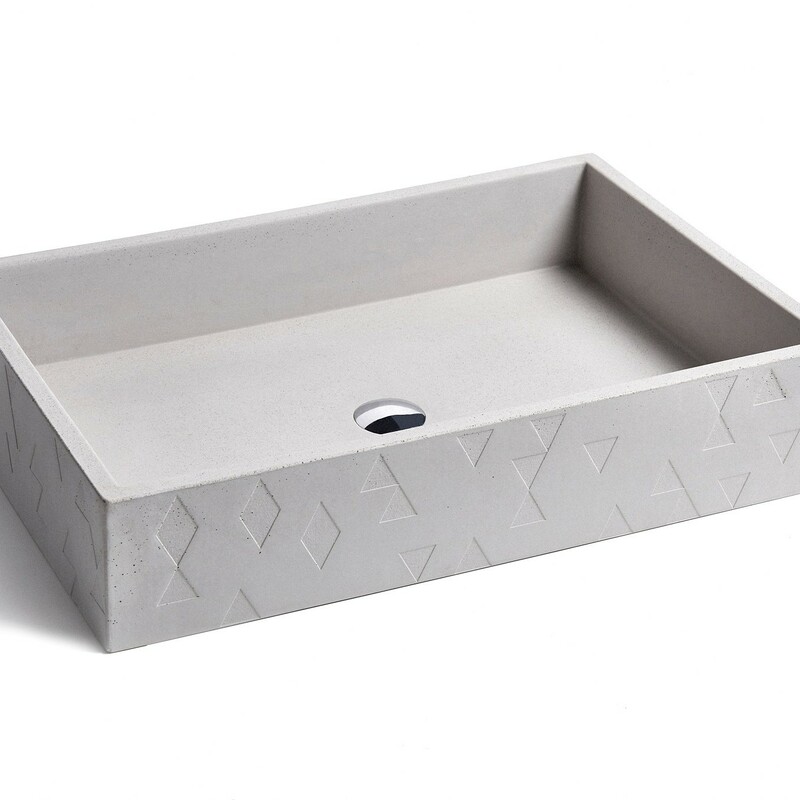 Available in Light Grey with Light Grey, Medium Grey or Dark Grey 3D pattern.